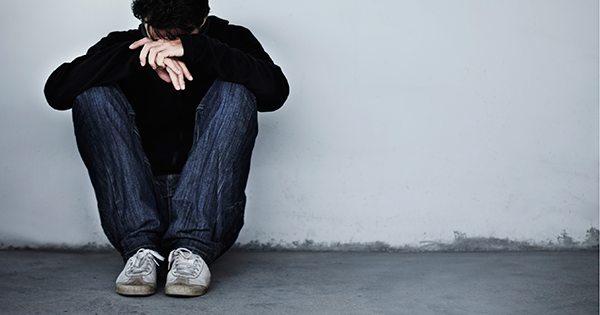 Depression tends to be a "catch all" phrase that encompasses a variety of mood disorders and mental health conditions. It is a common condition that can affect anyone at any time. In general, it is estimated that about one in every 20 Americans experiences depression each year. It is even more common in people with spinal cord injury (SCI) where it is estimated that anywhere from 11% to 37% of people with SCI experience depression. In general, depression is two to three times more likely in people with SCI than in the non-disabled population. Depression affects people with SCI in many ways. It affects mood, ambition, outlook, problem solving and energy levels. It works against wellness, health and having a good quality of life. People with SCI who are depressed often have more difficulty looking after themselves and managing their medical condition. For example, they may have difficulty drinking sufficient water, taking care of their skin, taking medications and eating properly. Depression also tends to affect an individual's social life as well. People who are depressed generally stay away from other people and have little use for social situations. They find it difficult to find pleasure or success in almost any aspect of their lives. They isolate themselves and withdraw from interaction with other people. As a result, depression can lead to other problems as well. Many studies have demonstrated that depression can be a fertile ground for substance abuse or drinking alcohol excessively. Although depression is common among people with SCI, many people with SCI never experience an episode of depression. For numerous years, rehabilitation professionals felt that depression after an injury was necessary if one was to make a “successful adjustment” to an injury. Today, we know that depression is not necessary following a SCI and many people live very successfully and fulfilling lives with a SCI without ever going through periods of depression. Over and over again, studies have demonstrated that a spinal cord injury does not predict behavior or mood changes for any individual. Every injury and every person are different. Behavior and emotion are a complex interaction of personality, environment and the nature of the injury. In fact, the ability to cope with stress and the difficulties associated with a spinal cord injury are often thought to be more related to the social supports of the individual rather than his or her unique personality make up. No one can accurately predict who or when individuals will become depressed. Although doctors are still not sure as to exactly why people get depressed, we do know that life stresses and medical conditions can cause a change in certain brain chemicals. These chemicals, called neurotransmitters are linked to mood, sleep, enjoyment, energy level and sexual appetite. Anti-depressant medications restore a normal balance of these brain chemicals which can often lead a person to feel better both emotionally and physically. Other factors such as fatigue, chronic pain, loss of independence and stress can lead to feelings of depression. In addition, events such as a divorce, family instability, financial insecurity or the loss of a job can easily magnify depression. Again, medications, counseling or the combination of both can be effective in helping people cope with the emotional pain of depression. Naturally, depression is not something that is only associated with a medical condition, but is often seen in many other forms. It can be short lived or a chronic condition. It can also be a reaction to an event or time of the year. For example, depression is often associated with the holiday season that extends from Thanksgiving to New Year’s Day. It can also linger months after the holidays. In this context, holiday depression is often thought to be related to feelings of loneliness, separation from loved ones or memories of times that were more enjoyable and meaningful for the individual. Getting through the holidays can be especially difficult for senior citizens or the elderly who may be more prone to loneliness. For many people, the holiday season is anything but festive and is a dreaded time of the year. These winter months also bring what is termed a "seasonal depression" to many people. The long stretches of darkness, isolation from others and reduced activity at this time of the year all contribute to a general feeling of sadness, gloom and despair for many people. Although these feelings tend to diminish as the days get longer in the spring time, winter can be an emotional painful and difficult experience for many people who live in climates where the cold weather prevails. In response to seasonal depression, some studies have shown that being exposed to light actually improves an individual's mood. For this reason, some people purchase "light boxes" and spend hours exposed to bright lights. Other people find a vacation to a sunny climate improves mood and well being. In general, seasonal depression does improve as the days get longer and people can begin to be more active. While an emotional reaction to an event like a spinal cord injury is natural and expected, each individual's response is unique. There are often similarities however. Typically, feelings of sadness and loss are common for most people, especially in the months following a SCI. In some cases, these emotional reactions can linger for long periods of time or can reoccur from time to time. A memory, event or comment even years after injury can easily trigger a depression or feelings of sadness. Although depression, grief, sadness and bereavement may all seem similar, it is important to distinguish the differences. Sadness, grief and bereavement are all disturbances of a person’s mood but they tend not to have the prolonged and intense emotional pain that is noted with a depressive disorder. A clinical depression can be debilitating and it can be life threatening. Fortunately, it is also usually responsive to treatment by medications and counseling. Medical and mental health professionals usually differentiate a depression from feelings of sadness by the symptoms that accompany depression. When depressed, people, regardless of injury or not, have disturbances of sleep, appetite, energy level, concentration, sexual interest and mood. At this level, thoughts of death or a lack of interest in life can be frightening for the individual as well as the family. If an individual is suffering from depression, it is important to seek medical and psychological care as soon as possible. Your primary care physician is usually the best place to start. Let your doctor know the symptoms you’re experiencing and any changes in your sleep, eating or activity patterns. With that information, your doctor can make the decision with you as to whether medications or a referral to a mental health professional is indicated. Although depression can be a serious medical condition, there are a number of things a person can do when he or she is feeling sad and blue. If an individual is feeling sad for whatever reason, some of the following tips may be worth considering. Avoid isolating yourself. At these times, the natural reaction is to want to stay alone and avoid other people. In reality, doing this often makes the situation worse. Although you may not have the motivation, force yourself to be with other people as much as possible. Share your feelings with other people. Most people find it difficult to talk about painful feelings and are fearful of being a burden to other people. Let people around you know how you’re feeling and get emotional support from people close to you. Take care of yourself. When a person is feeling sad, they often just don’t care about sleep, eating, being active, taking medication or doing things that maintain their wellbeing. Although you may not be in the mood, force yourself to do what is best for your overall health and wellbeing. Try an activity such as meditation, yoga or relaxation exercises. To do this, put 15 minutes aside each day to sit quietly and to clear your mind. Breath deeply, relax the muscles in your body and quiet your mind from all thoughts. Enjoy the sense of peacefulness that can come from just being calm and quiet. Remain active. Most of us are aware of how active we are during a typical day. Keeping this in mind, do things that you would normally do and try to keep the routines that usually work well for you. Be cautious about alcohol use. Alcohol is a depressant and tends to increase feelings related to depression. Although initially, a person may think they “feel better”, the longer range affects will be to deepen feelings of sadness and depression. In Conclusion, the winter months can be a difficult time for many people and is a time when depression is more common among all people. People with SCI may be more prone to depression because of difficulties with accessibility and being active. Keep an eye on your general state of mind, mood and attitudes. If your mood starts to head downward, be proactive and take some steps to turn things around. It’s always easier to make positive changes if you can notice the early signs that you may be slipping into a period of depression or sadness. Depression is typically a temporary condition that will improve over time.